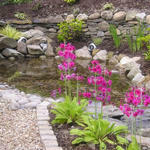 Consult Garden Design Dublin to develop a low Budget Garden Design Plan tailored for your garden. Low budget garden design allows you to have a beautiful garden without having to spend a fortune. Employing a professional Garden Designer may seem a luxury but can save you making costly mistakes. Garden Design Dublin bring all their expertise, knowledge and imagination to every project to ensure that you get a garden which is beautiful and which has not cost you a fortune. Garden Design Dublin have many years of experience designing gardens and make sure that all your needs, wants, likes and dislikes are incoporated into your new low budget garden design plan. 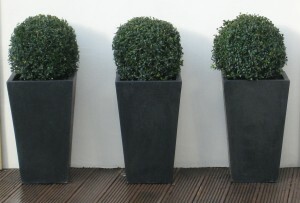 Check out our Garden Design Prices now. Low budget garden design involves planning your garden to help you avoid costly mistakes. Getting the right low budget Garden Design plan will save you money in the long time by ensuring that your garden is designed to suit your needs and that of your site. Avoiding common mistakes by getting advice in choosing the right plants for your site and soil will ensure that the plants thrive. The use of low cost materials and plants which help to keep the cost down will be incorporated into a low budget garden design plan. Each Garden Design Plan developed is taliored for each garden and client and uses inspiration from the site, client and surrounding landscape to develope a creative Low Budget Garden Design Plan tailored for your garden. Call us now for a free consultation in your garden if you live in East Wicklow or South Dublin. See Garden Design for more information.